A Gaslamp favorite for over 25 years, Cafe Sevilla is proud to offer the most authentic Spanish ambiance in their tapas bar, restaurant and nightclub. Sevilla offers the ultimate in fine dining and a VIP club experience, all under one roof. First, dine at Café Sevilla Restaurant and Tapas Bar, where you and your guests can enjoy award- winning Spanish cuisine in a lively European setting. 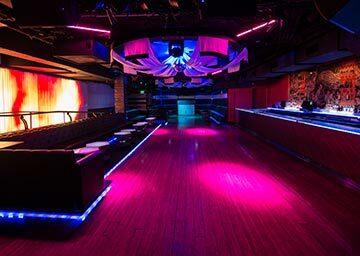 Then, take your private lyft downstairs to Sevilla Nightclub where your VIP club experience awaits. 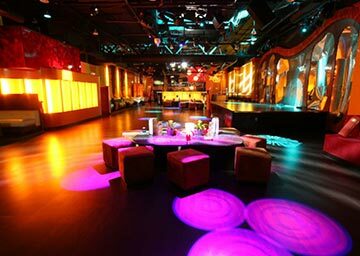 Enjoy an intimate ambiance, roomy dance floor, VIP bottle service amenities, a plush lounge area and the best in DJ and live entertainment. For parties of 9 or more guests, we offer we offer customizable "La Familia" menus starting at just $19.50 as well as 35% off food from our normal dinner menu. To book your large party dining experience at Café Sevilla, please call 619.245.1138.